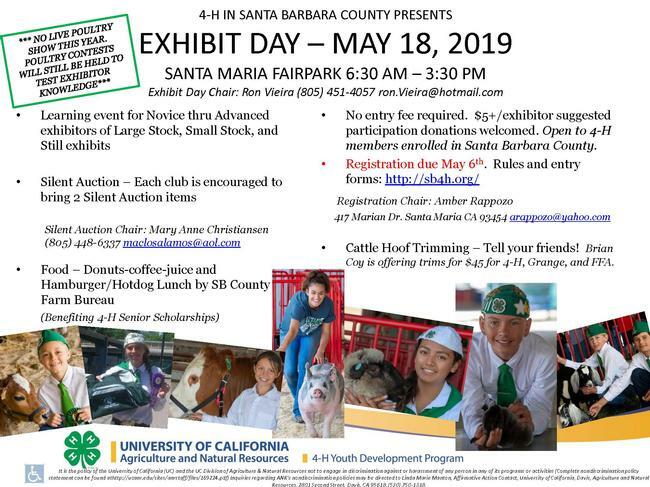 The 4-H Exhibit Day in Santa Barbara County is a very exciting educational event where 4-H members come together to show large animal, small animal, and still exhibits and compete for the title of “County Winner” in each division. Project leaders, 4-H families, alumni, and friends come out to support the members and see what they’ve been working on during the program year. The Exhibit Day Committee is hard at work planning an Exhibit Day that's bigger and better than ever!